Director Martha Klie and Isabelle Revelli had a very successful weekend at the Villa Sport Private School Expo on Saturday January 27, 2018. 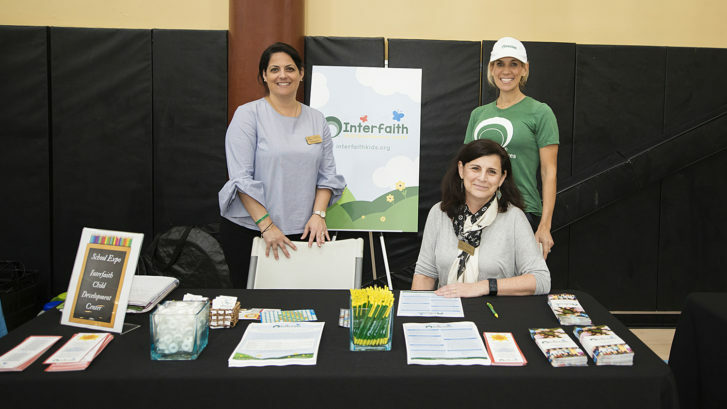 They were able to promote the newly branded marketing materials, and discuss our upcoming Summer School Programs as well as registration for Fall. Registration for the 2018-2019 school year begins in February. See our events calendar for details. 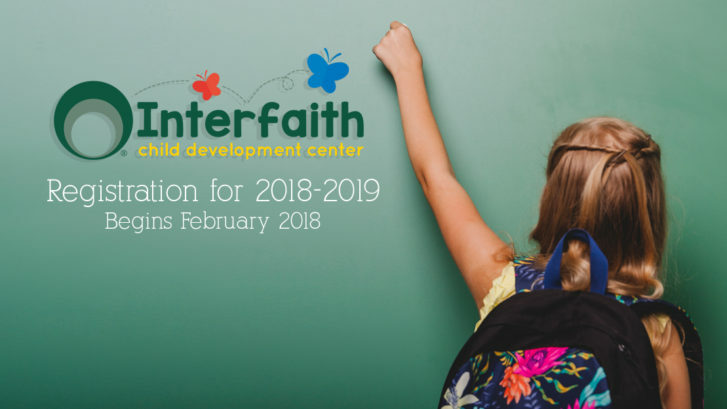 Registration for the 2018-2019 School Year will begin this February! February 6th and 7th Deadline to turn registration forms and payment for current students. 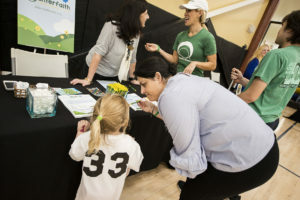 Introducing our Parent Workshop Series! 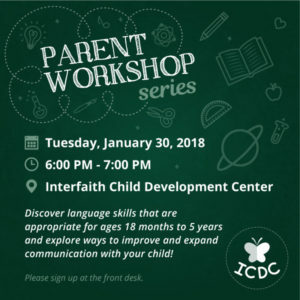 Interfaith Child Development Center is proud to present the first workshop for our Parent Workshop Series. It will be presented by Heather Webster MS,CCC-SLP, owner and founder of Webster Therapy Center. Heather will have a round table with parents and teachers about Child Development and age expectations.